Premier League trends: What tell-tale signs were present from the opening weekend's results? From performances to build on to shaky starts to overcome, the season's first set of results revised expectations the league over. 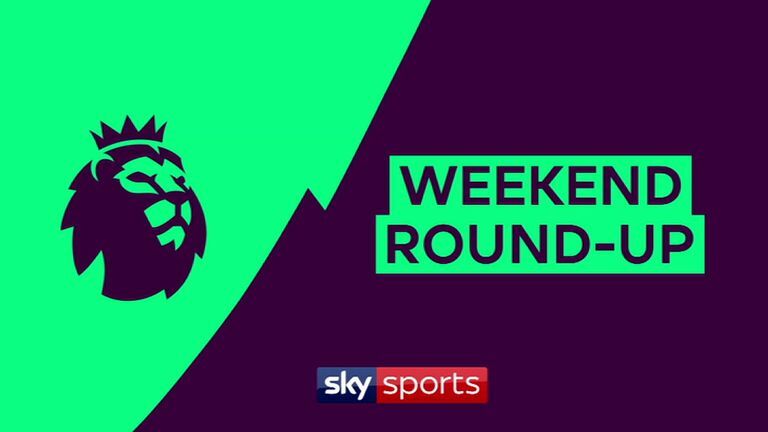 The opening-weekend defeat kickstarted a miserable run for relegation-fighting Newcastle, who would not taste victory in any competition until a 1-0 win at home to Watford on November 3. The loss also began a sequence of three-straight 2-1 scorelines against Newcastle's favour at St James' Park, with Rafael Benitez's side going on to suffer the same fate against Chelsea and Arsenal. However, despite fan protests over the club's ownership, Newcastle pulled off a stunning 2-1 win over Manchester City this week to give the home fans something to cheer. Meanwhile, Spurs' away form is unparalleled so far this season, and they picked up their first three of 33 points on the road to date thanks to Jan Vertonghen and Dele Alli's strike at Newcastle. They may have had some frustrating nights at Wembley but their away form has been the best in the division. Javi Gracia's Watford had been tipped to struggle before the season started, but Roberto Pereyra's double in an impressive team performance indicated this was a side with loftier ambitions. This was backed up by three more wins in a row - including victory over Tottenham - leaving Watford fans dreaming of Europe rather than fearing the drop. Despite an early-winter dip, they've been able to maintain their good form and sit in the top half of the table. Defeat at Vicarage Road was a precursor for Brighton's stuttering away form - the club have won just twice away from the Amex all season. However, fortunately for Chris Hughton's men, their home form has kept them clear of danger. Goalkeepers Alex McCarthy and Joe Hart stood out in the goalless draw back in August, and though this seemed like a typically bullish Burnley frustrating their opponents, the club would go on to lose their next four Premier League games before finally picking up three points with victory over Bournemouth. No team has seen such a drop-off in results from last season, although Sean Dyche's side have picked up some valuable points since Christmas - with Tom Heaton and Nick Pope in goal, rather than the dropped Hart. Southampton hardly fared much better after the draw, and though they won their fourth league game of the season at Crystal Palace, it was to be their only victory before manager Mark Hughes was sacked and replaced by Ralph Hasenhuttl at the beginning of December. Southampton have gone on to win four Premier League games since the Austrian took charge. Maurizio Sarri's tenure began with summer signing Jorginho, N'Golo Kante and Pedro all finding the target at the John Smith's Stadium.Chelsea went on to remain unbeaten in the league until a 3-1 loss at Spurs in late November. Since then they've slipped into a battle for a top-four finish and, after their 4-0 humbling at Bournemouth, those optimistic early days of the season seem long ago. Huddersfield ended the opening weekend in the drop-zone, and though they momentarily moved up to 15th in December, the club are now rooted to the bottom, with new manager Jan Siewert looking for miracles after David Wagner left the club in January. Fulham started seven new signings at Craven Cottage after investing heavily in the summer, but their failure to click eventually led to Slavisa Jokanovic making way for Claudio Ranieri in November. The struggling club still boast the leakiest defence in the league, having conceded 53 goals. Palace failed to kick on from their derby win, and one victory in their next 12 league games proved the club are very much in a relegation battle. An entertaining 2-2 draw highlighted that this could be two clubs with an outside hope of finishing in the top six, and though this now seems out of reach, both Wolves and Everton are embroiled in a six-way battle for seventh. Richarlison's double at Molineux suggested he was £40m well spent after all following question-marks over his fee, and the forward went on to make his debut for Brazil in September, while Wolves have continued to be among the Premier League's top entertainers, shocking some of the division's giants along the way. 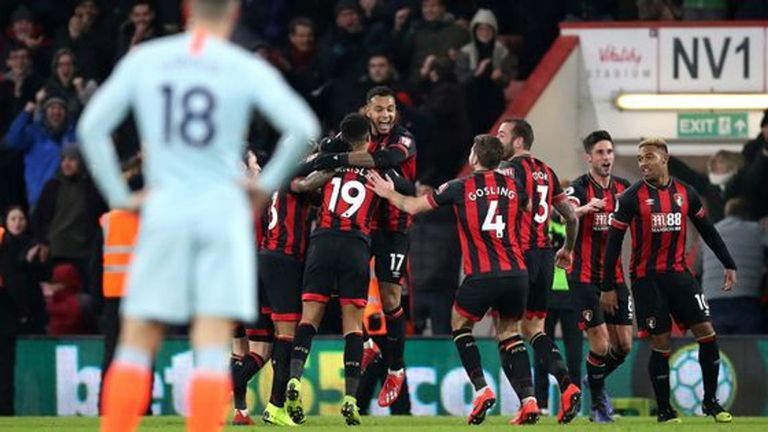 A goal and an assist marked the start of a memorable few months for Callum Wilson, who went on to score on his England debut against USA in November, while overall Bournemouth have once more proved to be steady under Eddie Howe - picking up 33 points from 24 games to date, and most recently thrashing Chelsea 4-0. A difficult season was forecasted for Cardiff, with the loss at Bournemouth doing little to convince otherwise, but Neil Warnock's side are still in the fight, though they currently sit 18th, four points from safety. The league's opening fixture on Friday Night Football saw Paul Pogba and Luke Shaw get United off to a perfect start. However, few will need reminding of the tumultuous period that followed. 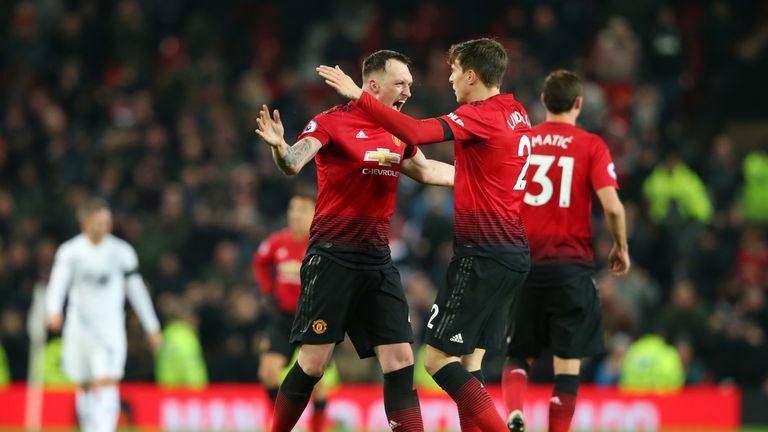 Jose Mourinho left as manager in December, while Ole Gunnar Solskjaer is doing his utmost to prove to United's hierarchy that he is the man for the permanent role when they make their decision in the summer, with the club now just two points off fourth. Leicester impressed in defeat at Old Trafford, and though the club are currently 11th in the table - three points off seventh - a downturn in results has put manager Claude Puel under pressure. Unai Emery could not have asked for a tougher task to begin his tenure as Arsenal head coach, and though they went on to lose at Chelsea the following week, the club then enjoyed a remarkable 22-game unbeaten run in all competitions. Arsenal now find themselves fourth in what is set to be a tight race for the Champions League places. Meanwhile, City's win at the Emirates made for an ominous start for the champions, but two draws and three defeats on the road - most recently at Newcastle in midweek - has left them trailing Liverpool in the title race. City could yet better their tally of 106 goals scored last season, but the 100-point mark in no longer possible to replicate. Manager Pep Guardiola will not care, however, so long as they have enough points to topple Liverpool. Liverpool started the season in style, and though their free-scoring display enthralled fans, it was a clean sheet down the other end which highlighted their champion potential. The league leaders have conceded the fewest goals in the Premier League this season, while four of their 12 clean sheets to date have resulted in 1-0 wins. West Ham's loss was the first of four in a row, but an under-pressure Manuel Pellegrini managed to turn things around, thanks in part to a four-game winning run in December.